Sufi Mysticism of the Indus Valley by Hassan N. Gardezi is a scholarly article that attempts to introduce the Sufi way by exploring one of its specific traditions that has taken shape over centuries, outside the mosque and the academy, in the Indus valley. Some several thousand years ago there once thrived a civilization in the Indus Valley. Located in what's now Pakistan and western India, it was the earliest known urban culture of the Indian subcontinent. 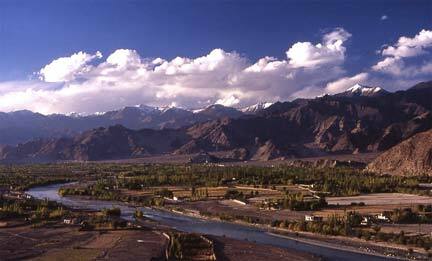 The Indus Valley ranges from the north-western foothills of the Himalayas to the Arabian sea in the middle of which the mighty Indus river has for centuries run a meandering course in a multitude of channels. The article starts with, "The rise of militant Islamic fundamentalism in conjunction with geo-political conflicts in different parts of the non-Western world has become the major focus of media and scholarly comment for the last few decades. What is being lost sight of in the process is the existence of a vibrant tradition of Islamic Sufi mysticism which still informs the daily lives and shared understandings of millions of ordinary Muslims around the world, with its message of love, tolerance, peace, equality, and respect for all creation." ... continue reading the article here. It contains some of the most beautiful sufi poetry written by mystics of that age and space.